- The fantastic vision of fantasy artist Jody Bergsma, impeccably translated to sterling silver. Wear this pendant as a symbol of strength and steadfast purpose. Sterling silver pendant measures just under 1" in diameter, and comes with an 18" sterling chain. 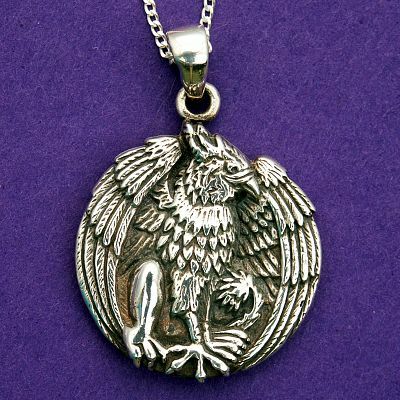 Do you have any other questions about our Silver Regal Gryphon Pendant?